A great job now finished and the client is very pleased with the standard of the installation. A full Grade II Pyronix Alarm System with activation for set/unset via the Pyronix Phone App as well as keypad at entry point. 10 motorized zoom cameras installed inside and outside for complete coverage around the premises, all able to be viewed via mobile or computer. Need a new alarm or update? Is it time to upgrade your alarm system? Why not choose the new Pyronix Wi-Fi enabled wireless system with capacity for up to 32 devices. Set and Unset your alarm from anywhere in the world, get notifications if the alarm triggers when away from home. From start to finish Stuart was very professional, turned up when he said he would, carried out the work to a very high standard, really neat and tidy job, i would not hesitate in recommending him. 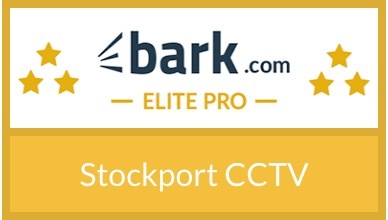 Unfortunately for our clients and many others affected by the current crime spree taking over Stockport, we have been very busy this last month. We have averaged 3 CCTV installations and 1 alarm system per week.